Merrion Square is one of the largest squares in Dublin. Merrion Square is one of the largest squares in Dublin. It is filled with very green (of course) grassy areas and has three Georgian style houses. There is a large statue of the writer and dramatist Oscar Wilde. There are also two square marble columns that are covered in famous Wilde quotes. 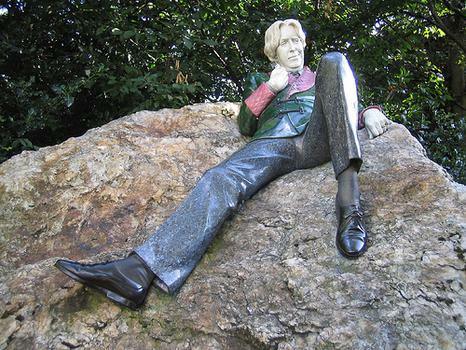 Merrion Square is a good place to escape some of the noise of Dublin and enjoy Oscar Wilde’s witty sense of humor.